Home Events Double Dragons and New Changes come to Heroes of the Storm! Double Dragons and New Changes come to Heroes of the Storm! BlizzCon 2017 heralds a new era for HotS! The BlizzCon 2017 hype continues as 2 Dragons land into Heroes of the Storm as its newest heroes! 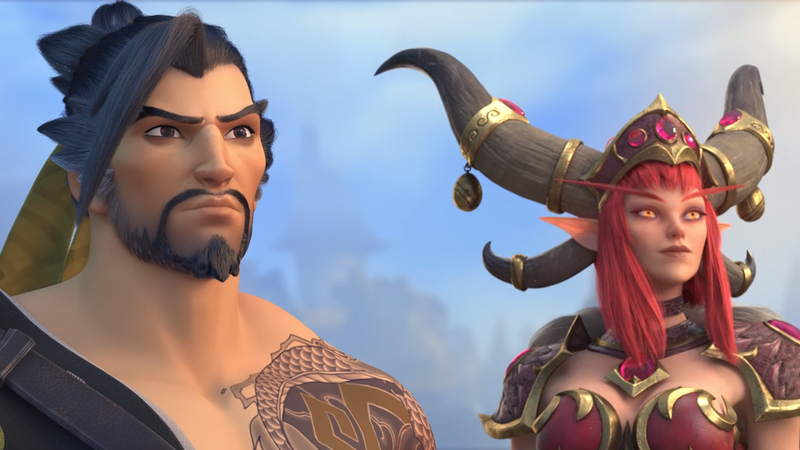 Welcome Hanzo Shimada and Alexstrasza! Alexstrasza the Lifebinder enters the Nexus as a Ranged Support while Hanzo Shimada takes the role of Ranged Assassin. Here’s a more in-depth look at what these 2 new heroes can do as well as the introduction of a few new changes coming to HotS! Stay tuned to the BlizzCon 2017 HotS “What’s Next” Panel and Deep-Dive Panel for more specifics on the changes coming to the Nexus! Previous articleStarcraft II becomes Free-to-Play! Next articleDragon Ball Super: Has Vegeta Unlocked Ultra Instinct Already?